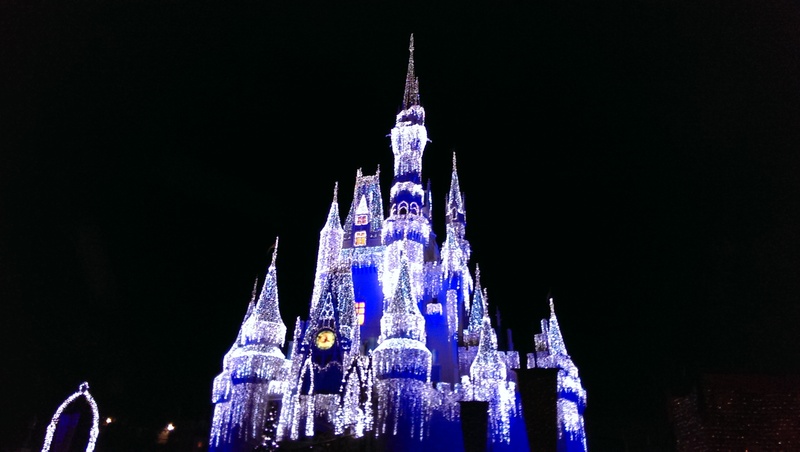 About this time last year, we were beginning to plan our visit to Walt Disney World for the first week of December 2013. I had my ADRs already made and we were following the developments of the Magicbands with deep interest…well, at least I was! Because of the time we were going to be in The World, it was important to keep a finger on the pulse of yet to be announced events, particularly the Candlelight Processional at EPCOT. We had already determined that Mickey’s Very Merry Christmas Party wasn’t going to be on this trip! So, that actually made it easier to plan your five days in parks! Let me add here that if you are going to take in the Candlelight Processional, that you make and ADR for the dinner package as most of the seats at the America Gardens Theater are reserved for those plans and general seating is very limited. Details have not been released, yet, but should be available soon! So, how do you plan for one of these holiday events? Let’s take a look at that, shall we? Starting on September 1, 2014 and running on select dates through October 31, is Mickey’s Not So Scary Halloween Party at the Magic Kingdom. Tickets for this event start at $62 per person and may be higher depending on dates, and certainly as you get closer to Halloween the cost will be a bit more. One benefit is that you can usually get into The Magic Kingdom at about 4pm, so you have time to take in some attractions before the event begins. Many of the attractions will also be available after the party starts at 7pm! Mickey’s Very Merry Christmas Party is slated to begin on November 7, 2014 and will be on select nights through December 19. Tickets for this event start at $67 per person, and the same benefits and hours are applicable as the Halloween Party. It amazes me how quickly they turn The Magic Kingdom around between parties! Watch a YouTube video sometime to see it in action! These are the holiday events that probably need the most attention in the near future! Others take place, but only require you putting them into your plan of attack, if you wish to see them. And, with the Free Dining Offer in place right now, planning for the special events becomes a little more interesting! Also taking place during these times will be: Nights of Joy September 5 – 6, 2014, and the EPCOT International Food and Wine Festival September 19 – November 10, 2014. If you want a sneak peek at some of the Food and Wine offerings visit https://www.youtube.com/user/travelwithrick to see his 31 day tour from 2013! I believe you will enjoy his thoughts! Happy Planning for those of you headed to the Vacation Kingdom of the World for the fall and holiday seasons. Wish I was joining you, but not this year! In the meantime, have a Blessed and Magical Day, my friends! !